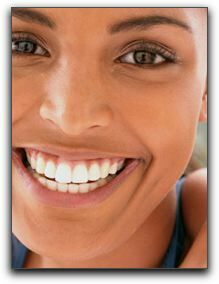 There is nothing like bright white teeth that light up a person’s smile. No one has to settle for dull, yellow teeth. At Mason Dental in Grapevine, we offer the most effective teeth whitening technology available. Maybe your teeth have grown dull and yellow with time. Or maybe they’re stained from the food and drink you’ve consumed over the years. Whatever the reason, professional teeth whitening can work wonders on your smile. Our patients have two options to choose from: GLO in-office whitening, and GLO and Opalescence take-home whitening. The GLO in-office treatment gives you dazzling results in as little as a single office visit. GLO and Opalescence take-home kits are available only through a dentist’s office, and leave you with a stunning smile in just a few weeks. Teeth whitening should be just one part of a dental health regimen that includes flossing and brushing, and regular visits to Mason Dental in Grapevine for cleanings and checkups. In addition to cosmetic dentistry, we practice general and restorative dentistry. Visit our smile gallery to see before-and-after photos of some of our satisfied patients.